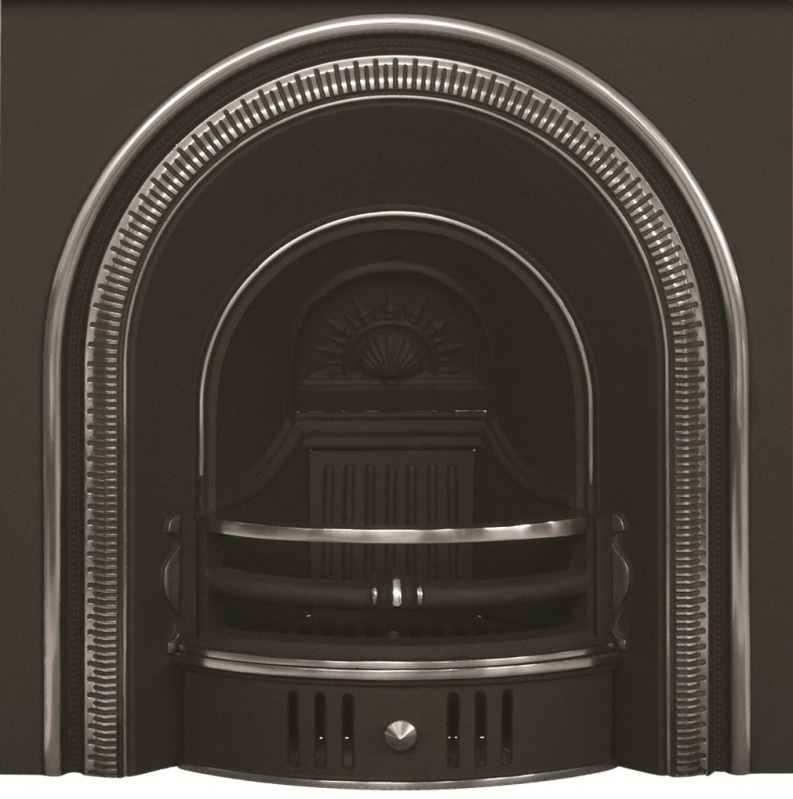 The Carron Beckingham is a cast iron fireplace insert that both clasical and eye-catching. The Cherub is a Georgian style cast iron fireplace insert circa 1860. The detail is highlight polished. 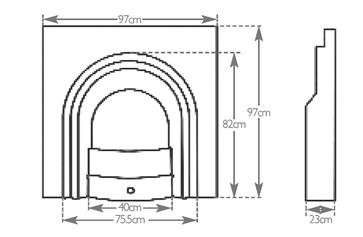 Shown with the Corbel Fireplace surround. Suitable for solid fuel or gas. For solid fuel use you will need an ashpan. 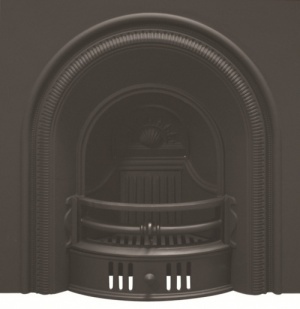 Our Cast Iron Fireplaces are available with a Multiglow gas insert, which creates a coal effect fire with coals and real flames. To add to order select from options on right hand side. NATIONWIDE NEXT DAY DELIVERY IF ORDER ONLINE BEFORE (11 AM). IF YOU HAVE A PREFERED DELIVERY DATE PLEASE CONTACT OUR SALES DEPARTMENT ON 01748 821500. Special Offer: Free delivery is available when you order 1 item or more from this category.